Soft premium quality 4 way stretch velvet/ velour fabric which drapes elegantly. 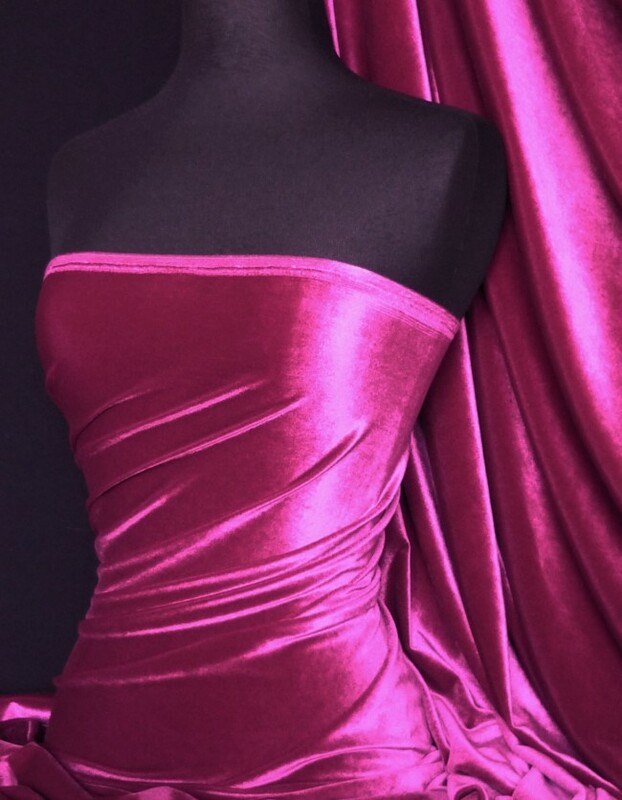 Excellent dressmaking, skating costume, dancewear, leotards, cushions and curtains etc. Available in 8 stunning colours all in stock! Suitable for skirt, dresses and accessories.